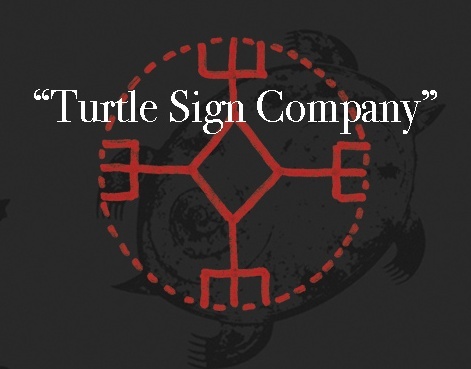 “The Turtle Sign Company” is a registered trade name for all of my creative work. The turtle is a sign for fertility, creativity, and longevity. Many of the world’s creation myths involve the turtle, thus the turtle is a mantra, a totem, and a spiritual guide. It is an image that reminds us that everything we need is carried within us.